Consumers are constantly bombarded with digital marketing materials, from social media ads and paid search ads to blast emails and weekly newsletters. It’s hard for brands to cut through the clutter and show value to consumers — unless they utilize the power of human engagement. Street teams interact directly with consumers to get them excited about your brand and connect with it on a more personal level. This excitement translates into direct action – whether you want consumers to download your app, sample your product, attend an event, or use your service for the first time. My company recently worked on a nationwide project for one of today’s top ride-sharing brands. The goal was to build brand awareness as well as have consumers download the brand’s app by offering coupon codes for their first ride with the company. We hired and trained event managers and brand ambassadors for mobile street team events in 11 markets and activated street teams on college campuses around the country. Brand ambassadors talked to almost 1,500 consumers during the 5-month campaign, with 20 percent of consumers downloading the app and using the coupon code. When executed correctly, a street team initiative can increase brand awareness, build loyalty and increase sales. But when executed incorrectly, a street team initiative can waste money and damage a brand’s reputation. If you have ever encountered an untrained street team glued to their smartphones, clustered together and blocking the sidewalk, or shouting at you as you walk by, you know what I mean. 1. Set a goal. Setting a goal allows you to measure your success. How many consumers do you want to download your app, sample your product, attend your concert or event, sign up for your service, or take some other action? With our nationwide ride-sharing project, the goal was to get as many downloads as possible. 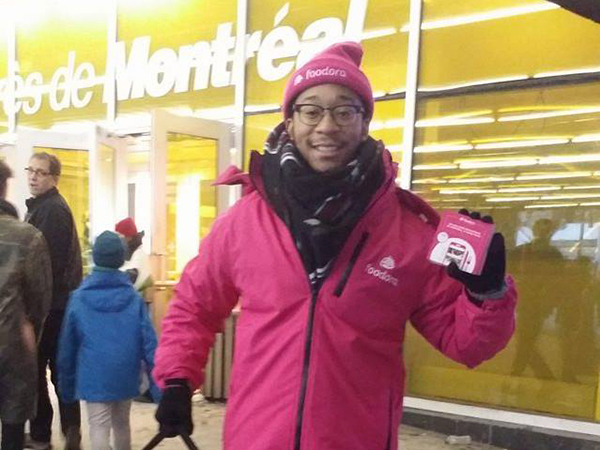 By interacting with potential users, that’s what our street team set out to do. 2. Be strategic. Who are you trying to reach and where are they? Understanding your target audience allows you to put street teams in the best locations with the right messaging. You want your street team to interact with consumers for a long enough period of time to make a difference. When working with the ride-sharing brand, we sought high-traffic areas that had more consumers. We also gave our team incentives to work harder and connect with more users, like free t-shirts. 3. Set a realistic budget. Street teams are cost-effective when used strategically. I’ve seen companies cut corners by recruiting individuals through social media for a one-time event, telling them when and where to show up, handing them a stack of flyers when they arrived and expecting great results. But it doesn’t work that way. 4. Train the brand ambassadors. You want people to feel they are joining a street team that is not only fun but well organized and designed to achieve a specific goal. To kick things off, provide a welcome packet and an introductory orientation/training meeting so new hires feel that they are an integral part of the team. Training materials include talking points, information about the company and products, FAQs, etc. We focused on hiring outgoing and engaging people who were comfortable approaching strangers. 5. Have an event manager onsite. The event manager gets the team energized and prepared for the day and has the authority to deal with last-minute surprises, like no-shows and weather-related problems. Our event manager for the ride-sharing initiative was able to monitor the street team to ensure they were doing what was expected of them and to reiterate talking points throughout the event. They were also onsite to ensure that consumers were actually downloading the app and using the coupon codes provided. 6. Include a call to action. Make sure consumers know what to do during or after the meeting rather than hoping they’ll figure it out on their own. If your goal is for them to download your app and order your service for the first time, brand ambassadors can walk them through the process and answer questions. 7. Collect data. Make sure you have a way to grab consumer information for analytical purposes and to follow up. For example, you may find Gen Xers are more likely to engage with your brand than millennials or certain parts of the country like your brand better than others. This is good information to have. 8. Measure success. This can be done using sign-up forms, trackable coupon codes or links to landing pages, designating specific phone extensions for callers, and so on. We track our brand ambassadors and ensure that they are doing what they need to do. For our ride-sharing initiative, we measured our success via intensive recaps at the end of each day. We were also in contact with our client about the number of redemption codes used regionally to provide a better visual of success nationwide. 9. Fine-tune and repeat. If you want to ensure success, analyze what worked and what didn’t after each event. Make adjustments as needed to create a high-quality consumer experience. Street teams are a way to bring mobile apps and other online offerings to life. Rather than staring at a screen, consumers get to interact directly with products and services, and their questions can be answered by the person standing right next to them. In today’s digital age, building a personal connection with consumers goes a long way towards fulfilling your brand’s goals.